Your hormones are the key to having a strong and resilient gut. If they are dysregulated, you will have a hard time reversing your symptoms… if you are able to do it at all. As mentioned in the adrenal video, it’s very important to use the lifestyle changes to begin to reduce stress on your hormones. In the meantime, if you are at risk for adrenal issues or you really just want to lower inflammation, increase energy and feel better, the following protocol is something you should think about trying. Numedica Corti-B PlexCorti-B Plex™ supplies significant amounts of the water-soluble B vitamins, pantothenic acid and Vitamin B-6, to support many physiological functions associated with adrenal hormone production and regulation. 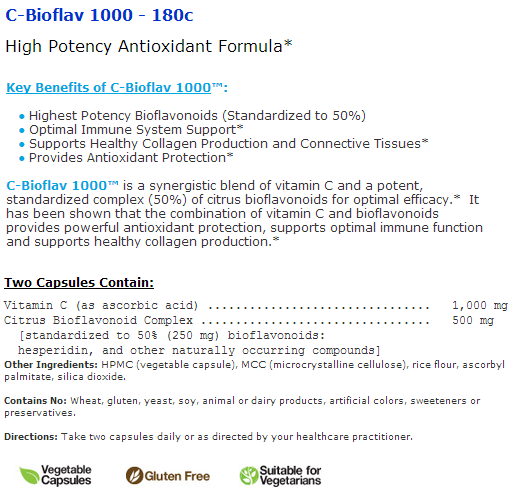 * This formula also works to enhance Coenzyme A production and the body’s production of energy. * The 5-MTHF in this formula, Quatrefolic®, is the most biologically active form of folate, allowing rapid uptake into the bloodstream. 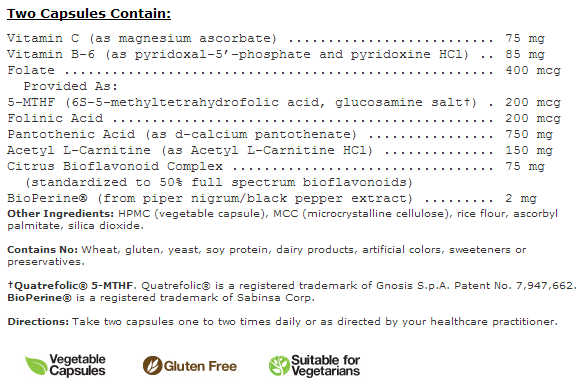 * The 5-MTHF in this formula is also known as the “L” form of 5-MTHF since it is the reduced form of folate. Numedica AdrenaMedAdrenaMed® is a concentrated adaptogenic herbal and vitamin remedy featuring standardized extracts of cordyceps, rhodiola and ginseng – all designed to support the stress response. 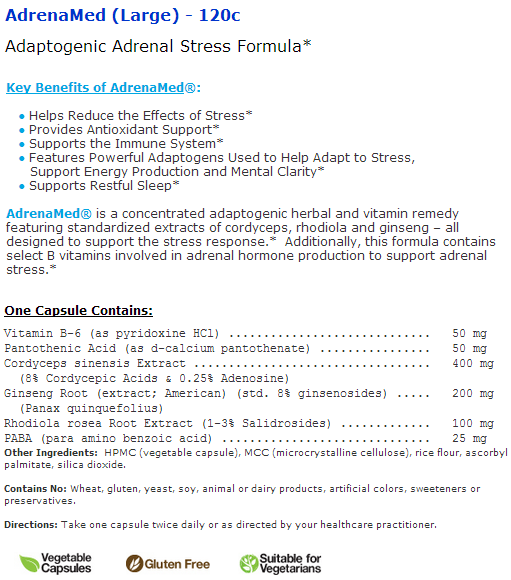 * Additionally, this formula contains select B vitamins involved in adrenal hormone production to support adrenal stress.